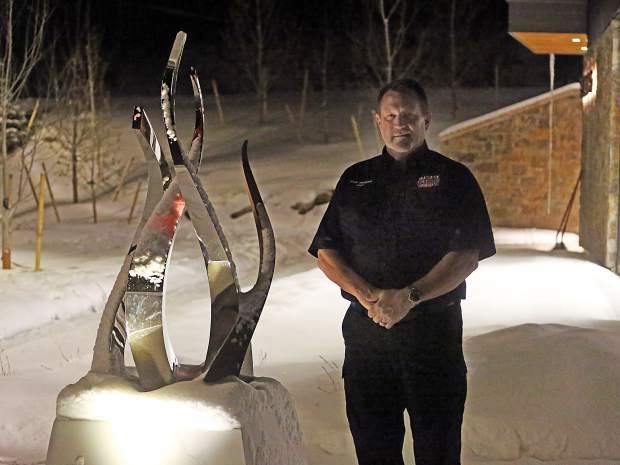 This winter marks a new era for the 30 firefighters, captains and chiefs who make up the longstanding Snowmass-Wildcat Fire Protection District. 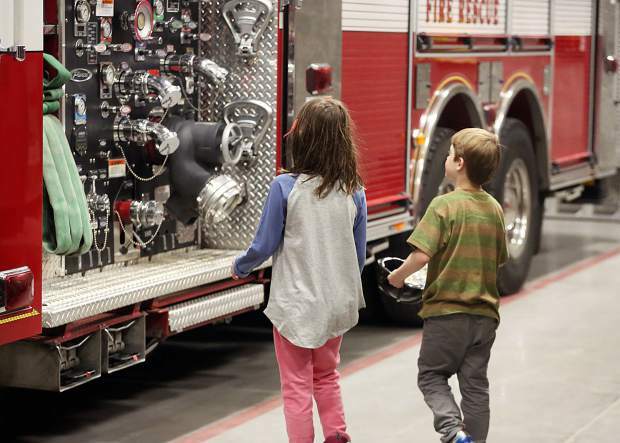 The first responders have moved into and are operating fully in their new, $19 million, 32,473-square-foot, state-of-the-art station, which opened its doors to the community for an open house Friday. 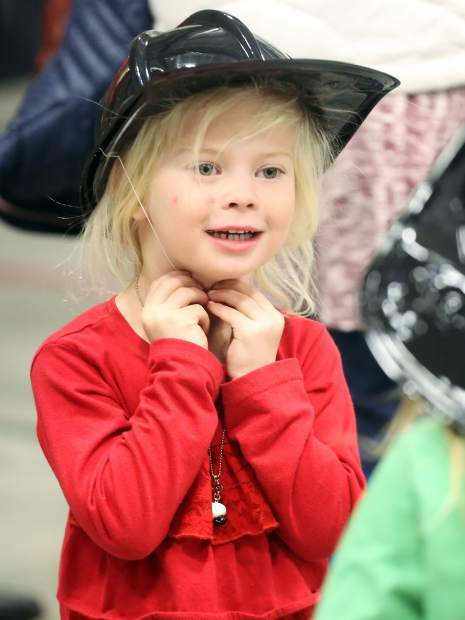 “It’s almost surreal,” Snowmass fire captain Chance Goldyn said of the district’s transition from the temporary site that consisted of a tent and trailers at the rodeo lot. 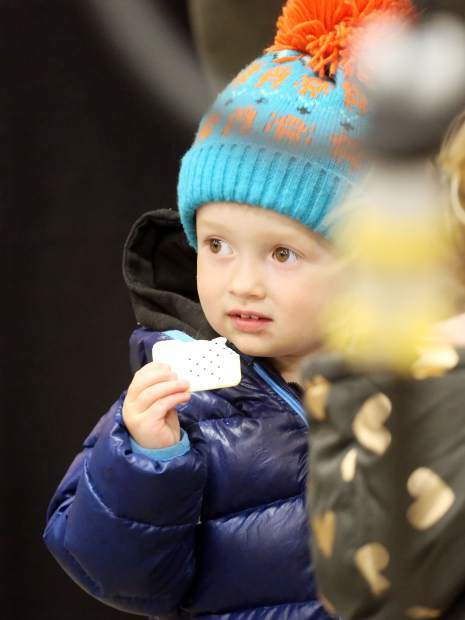 “It’s a beautiful facility, and it’s very impressive from what we came from,” Goldyn said at the open house. 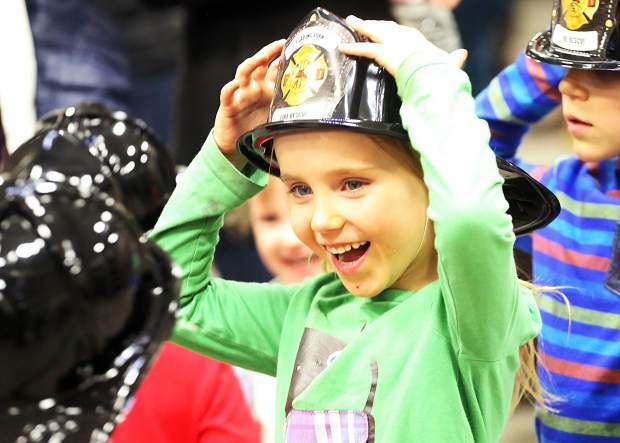 Despite the cold, snowy weather, the district’s ceremonial opening and ribbon cutting attracted about 150 people and several young children sporting plastic fire hats, running around and climbing the fire trucks, mesmerized by all of the apparatus. 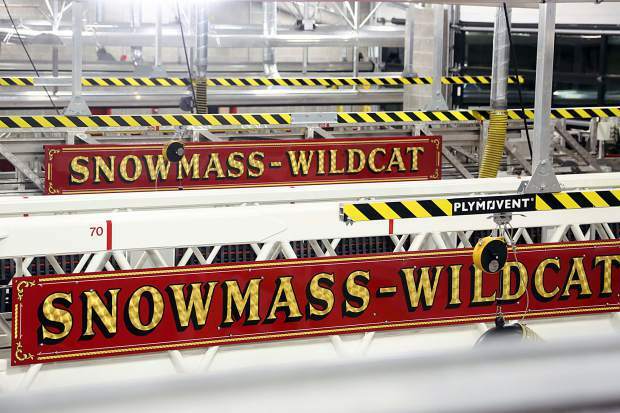 A number of Snowmass leaders also were in attendance, including Mayor Markey Butler, who said she was “blown away” the first time she walked through the station and learned of its many bells and whistles. 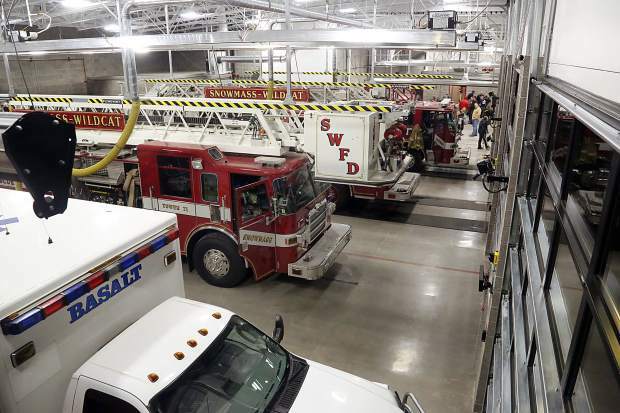 The new station boasts seven bays for housing apparatus, a command room, kitchen and day rooms, a training tower, seven soundproof bedrooms for the firefighters, six studio apartments as part of the district’s employee-housing requirement and resident training program, a 600-square-foot gym, a lobby and reception area. 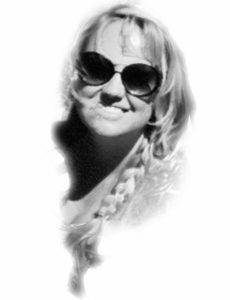 Butler quipped that she wants to use the station’s workout room. 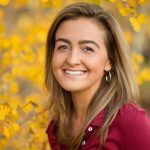 Jokes aside, the mayor believes Snowmass’ new station, along with its merger with Basalt fire, position the district to better serve and protect its communities as wildfires continue to pose a greater threat. 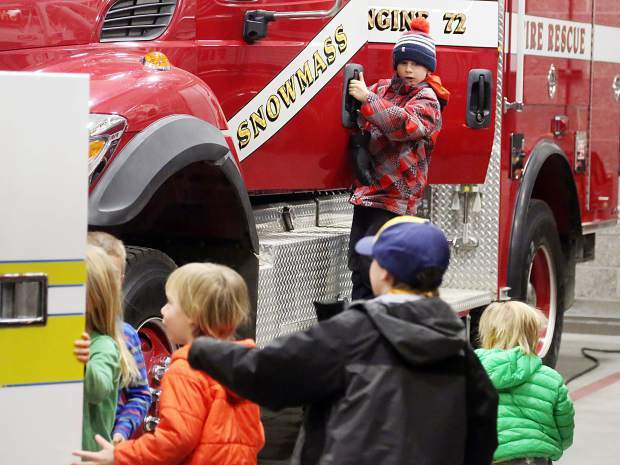 The Snowmass and Basalt fire districts have been joining forces all year and already act as one. 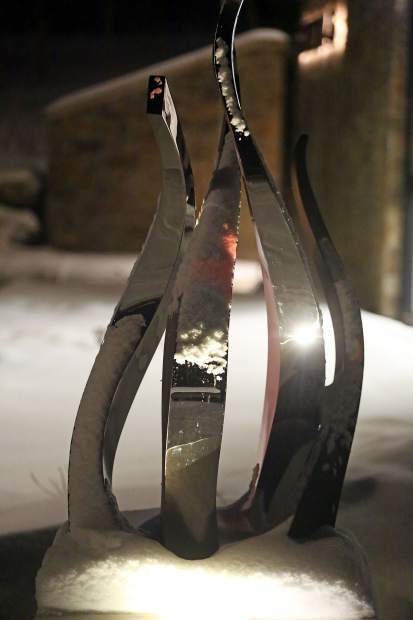 That merger will be formalized with a new name, the Roaring Fork Fire Authority, on Jan. 1. 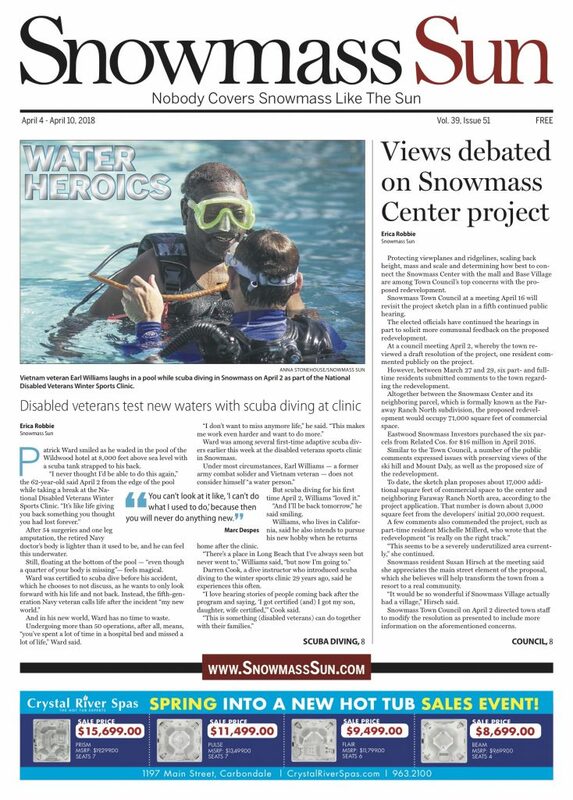 Further securing the joint district’s future, voters in the November election overwhelmingly approved separate proposals by Snowmass and Basalt fire departments to adjust their mill levies to maintain current property tax revenue levels. 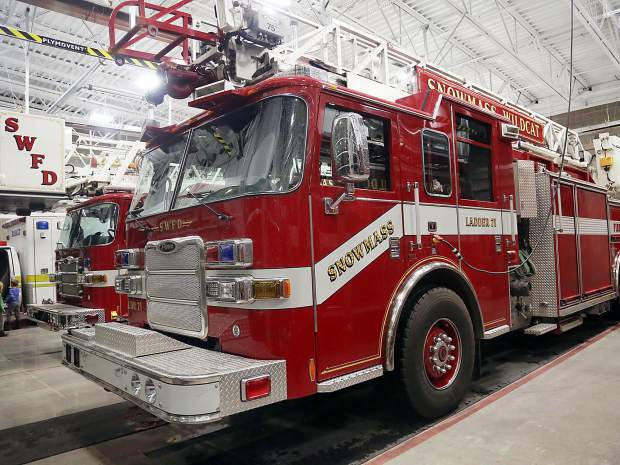 A previous property tax that passed in November 2016 funded the majority of Snowmass’ new fire station. 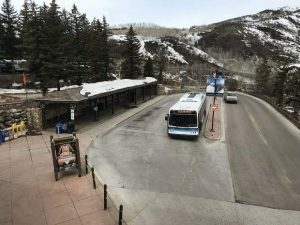 Construction of the station culminated about a month earlier than anticipated, despite a massive local wildfire this summer that required the attention of every member of the Snowmass fire district, as well as early soil complications that considerably delayed the project. “The plan is this building doesn’t move like the other one,” Snowmass fire board president Bill Boineau joked at the open house. 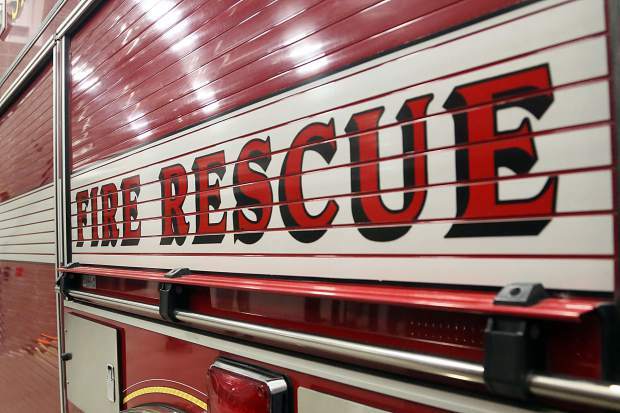 Topping the reasons Snowmass needed a new fire station was a failing foundation beneath the former, 46-year-old building. 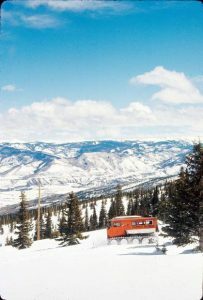 Accommodating for Snowmass’ changing landscaping, growth and increased development — both within the past almost half a century and in the future with Base Village and high-rise buildings — also were notable factors. The previous fire station, which had been demolished at the same site on Owl Creek Road, was 18,000 to 19,000 square feet. 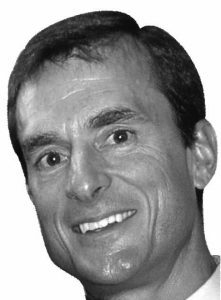 Boineau will continue his work with the Snowmass fire district in its next chapter, serving as vice chairman of the Roaring Fork Fire Authority.